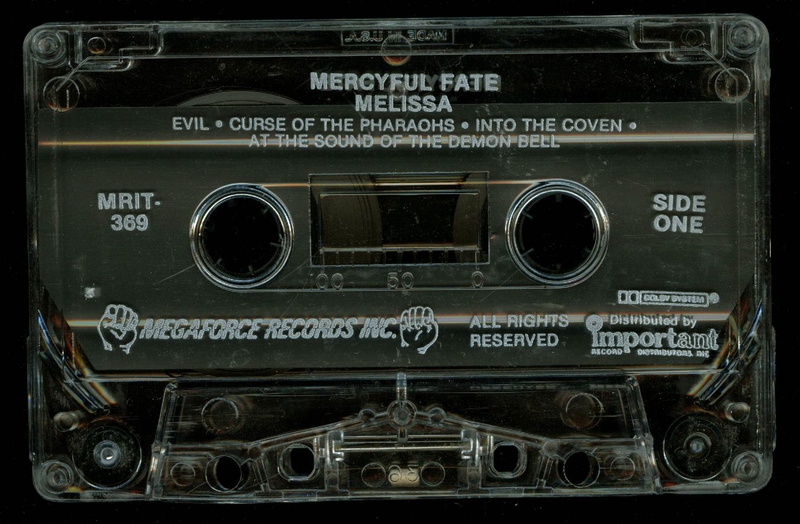 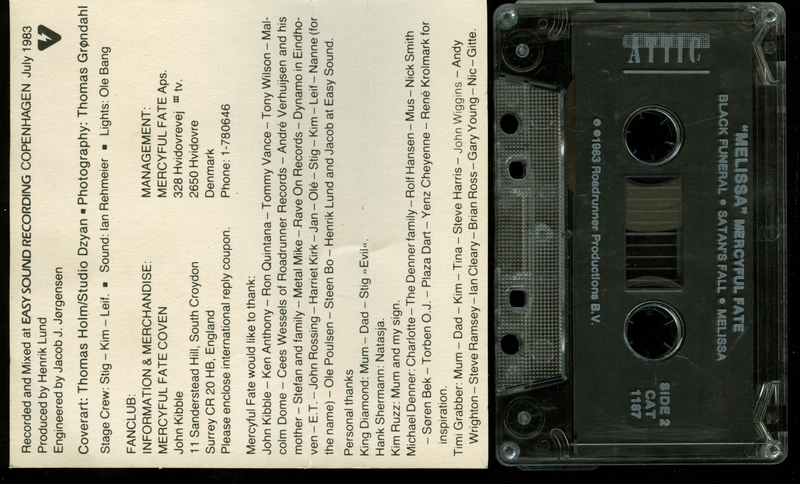 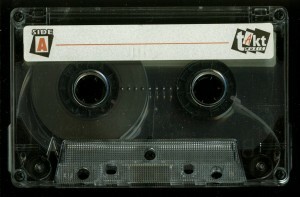 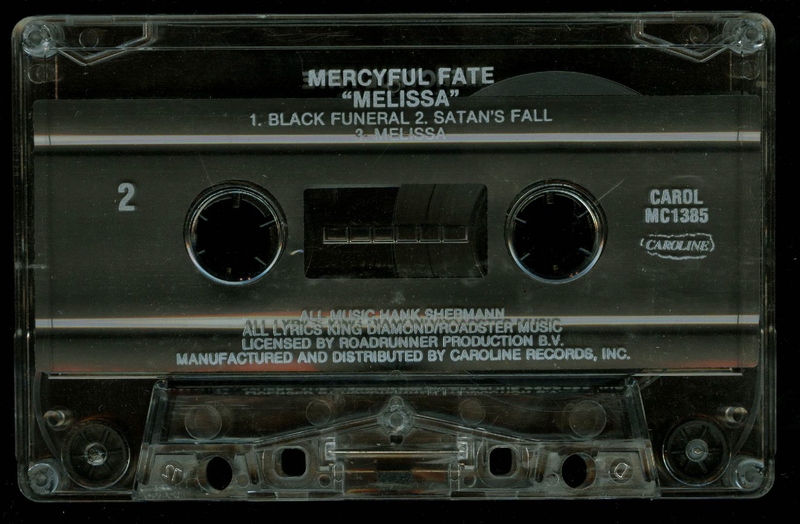 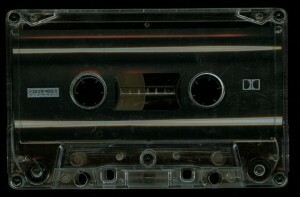 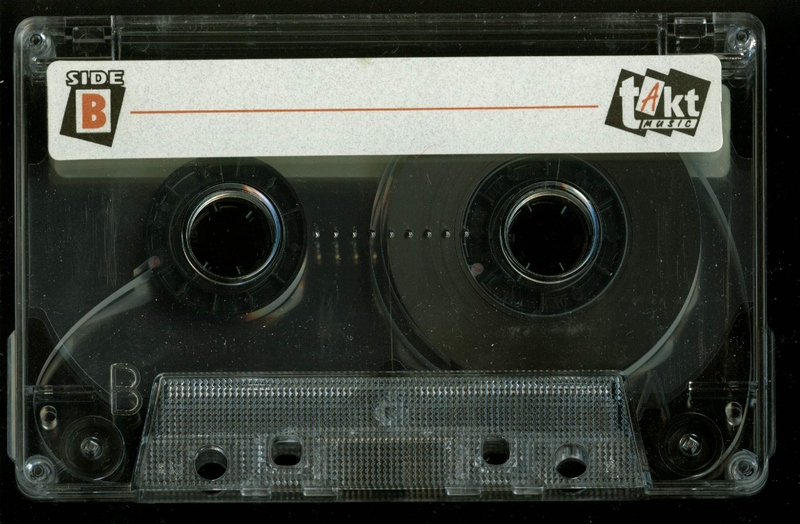 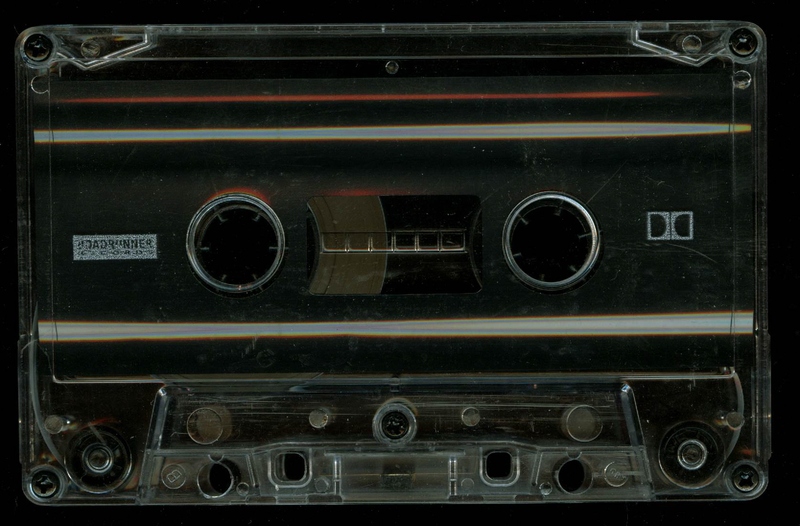 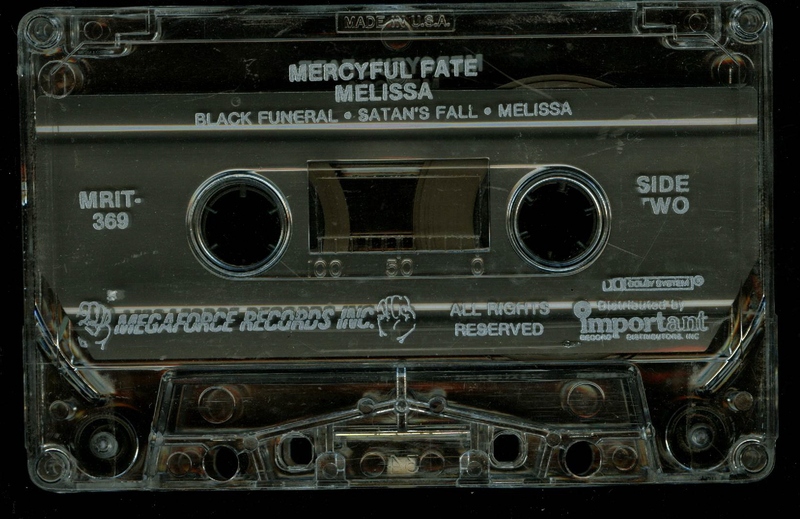 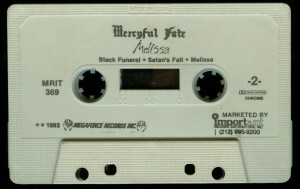 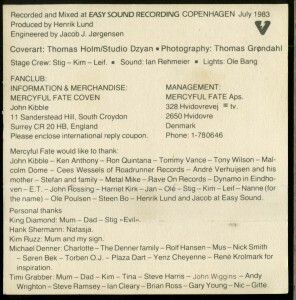 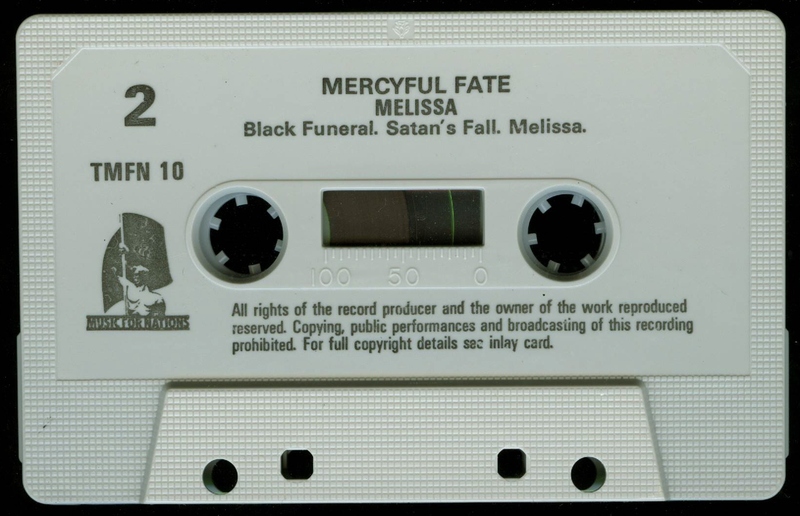 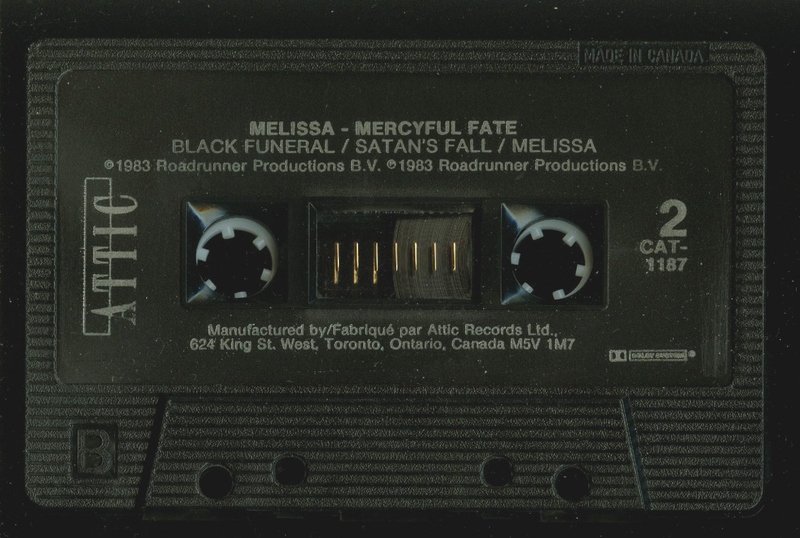 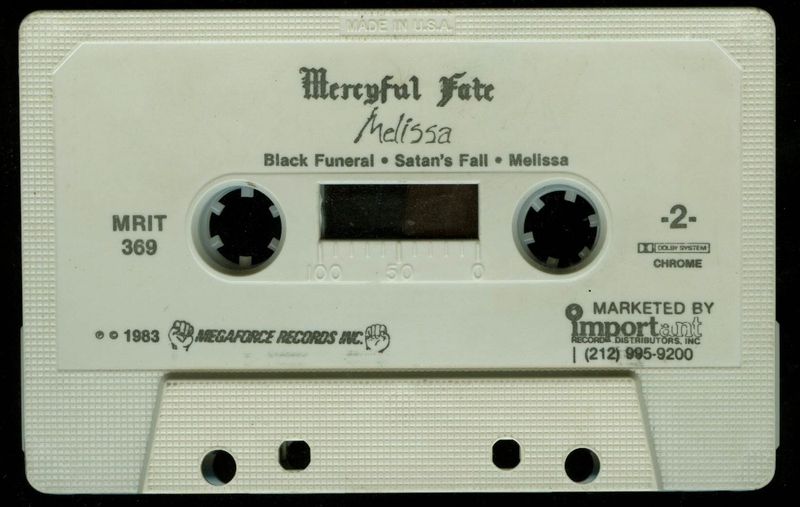 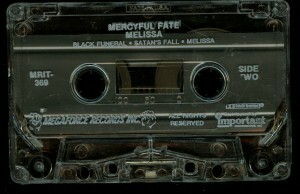 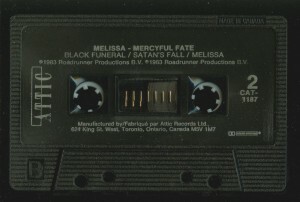 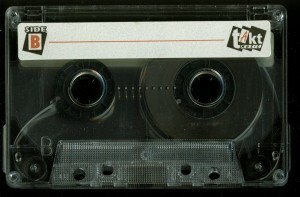 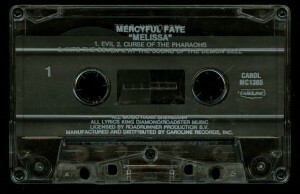 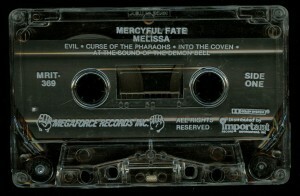 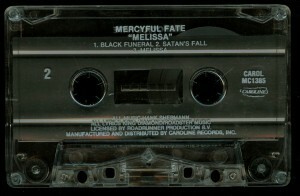 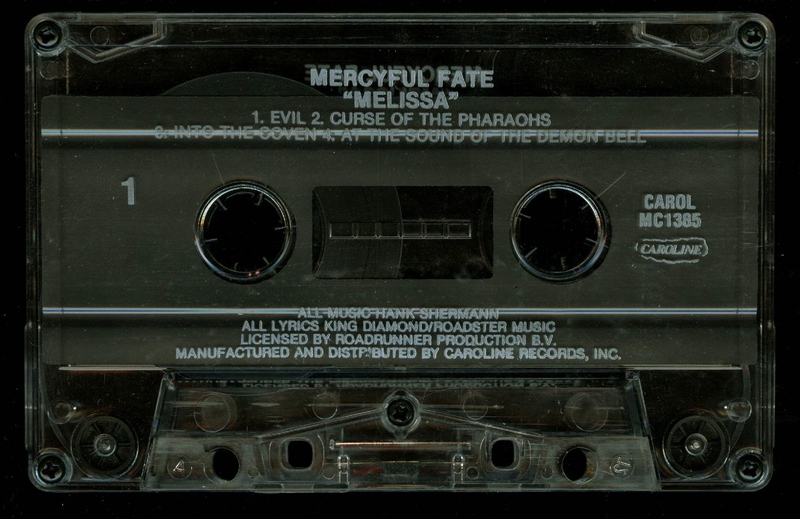 Mercyful Fate Melissa Poland Cassette TAKT 690. 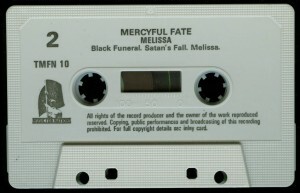 Mercyful Fate Melissa Music For Nations TMFN 10 Clear Cassette. 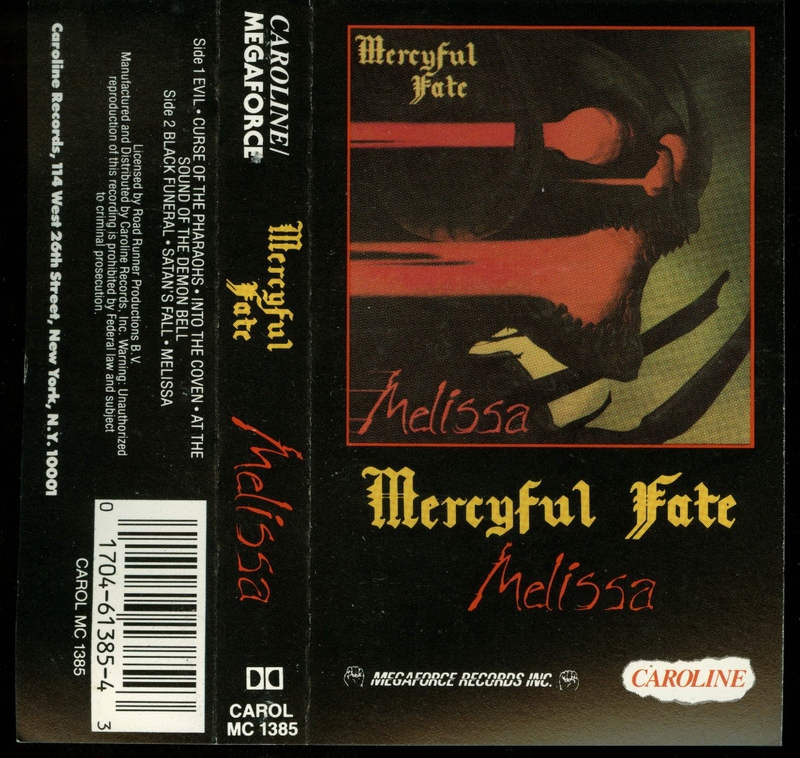 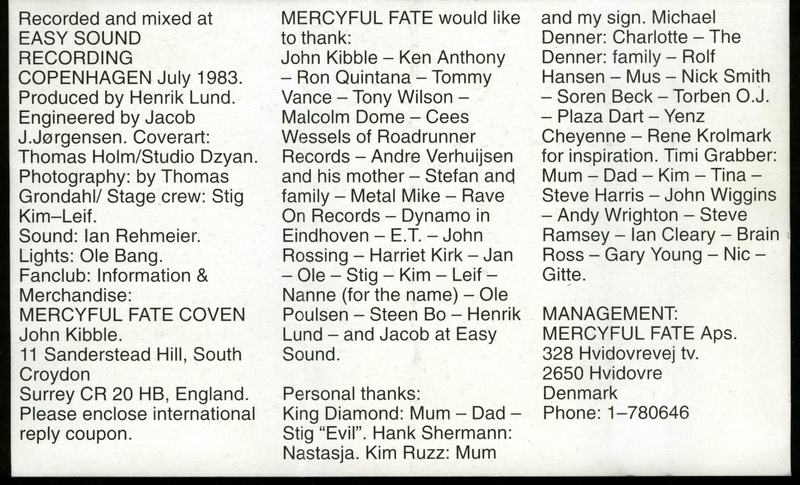 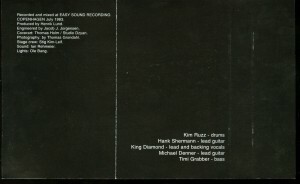 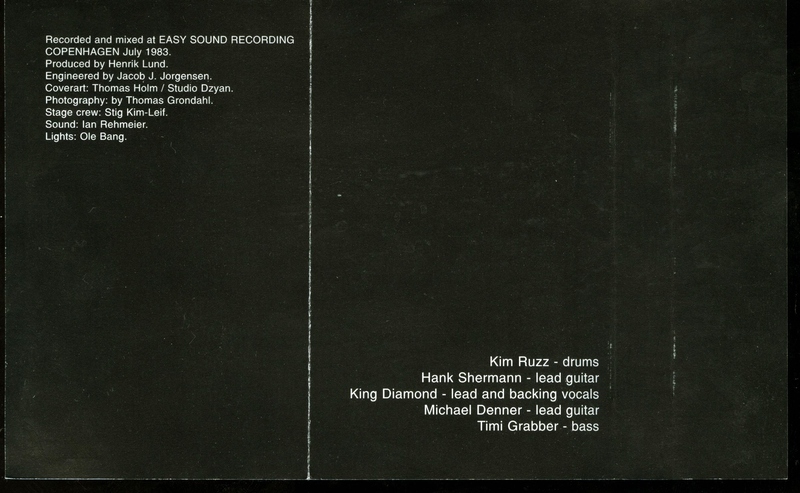 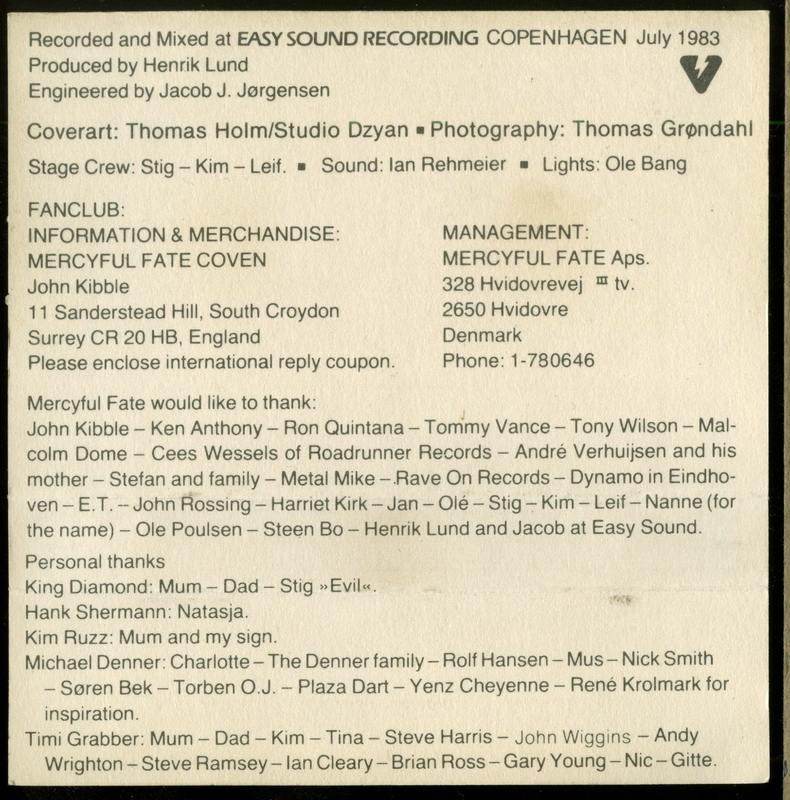 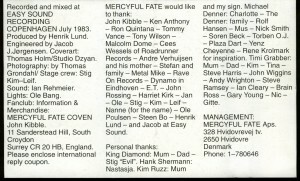 Mercyful Fate Melissa Caroline Records ‎– CAROL MC 1385. 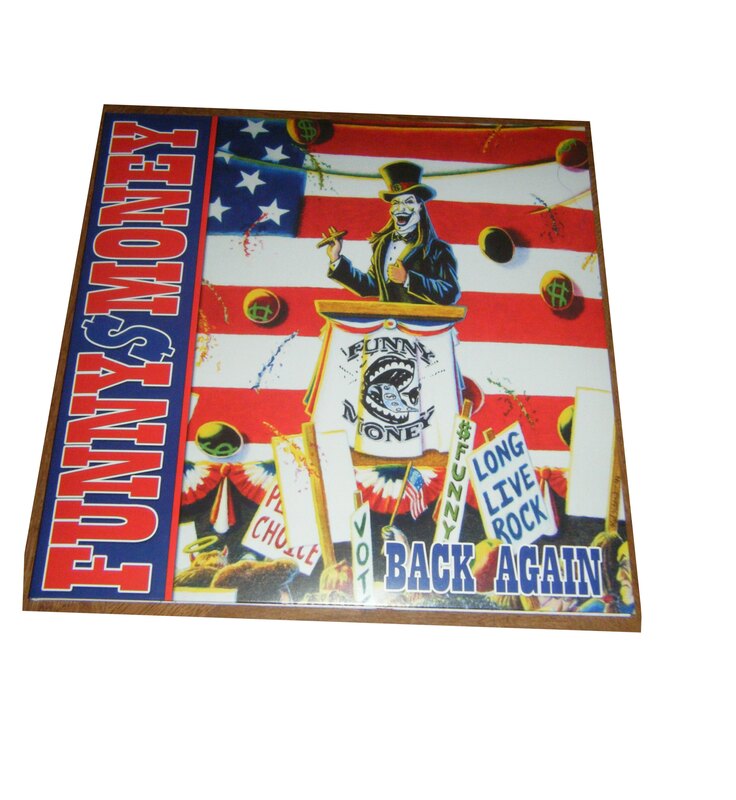 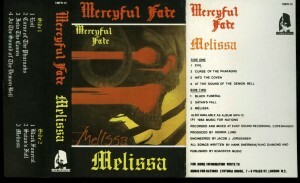 Third USA release. 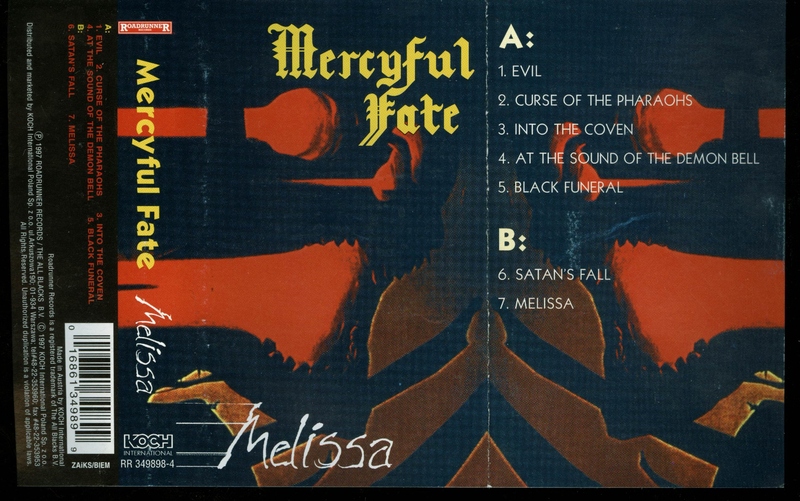 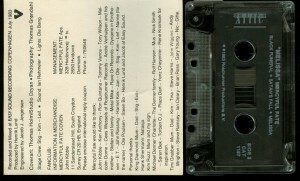 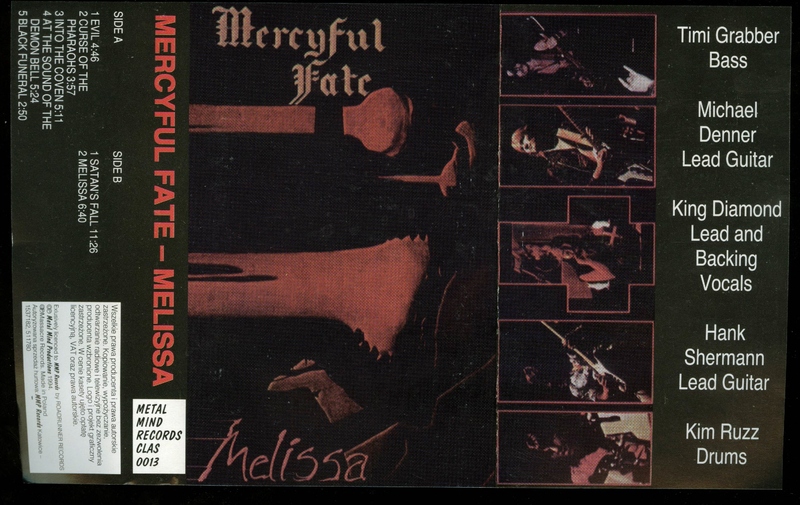 Mercyful Fate Melissa Cassette Metal Mind Records CLAS 0013 Official Polish release.